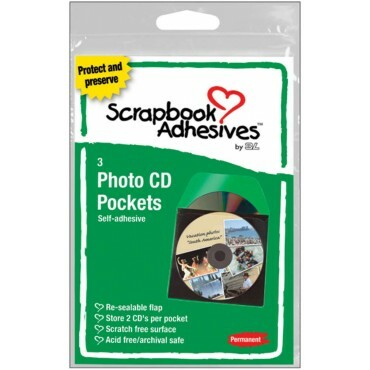 Photo CD Pockets - 3PK - Clear 5"X5"
Store a CD with all your photos in a pocket attached to the page. A black insert in the middle allows pockets to accommodate two CDs. Pocket s are self-adhesive, acid free, archival safe and have a resealable flap.